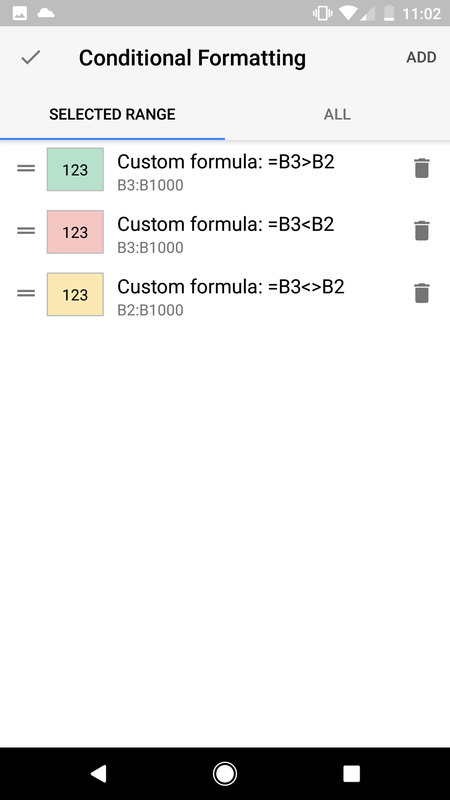 I have column B with different values on different rows and I want to set a rule that , for example cell b3 turns red if the value is smaller than that of B2 and green if it's bigger. 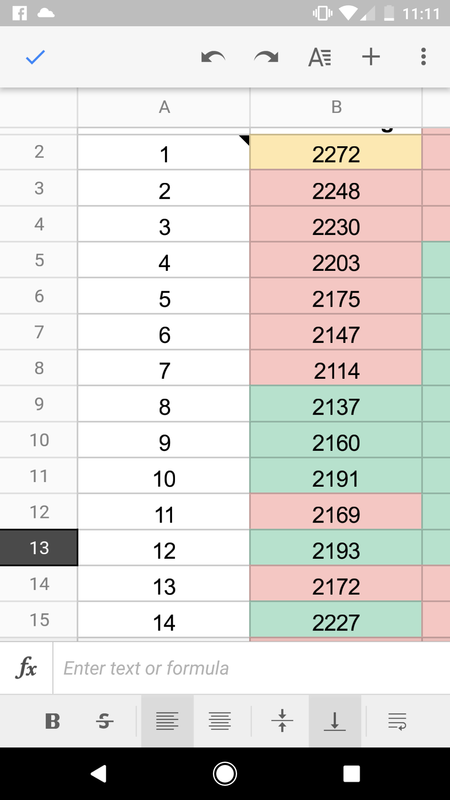 I know I need to use conditional formatting, but not sure how? 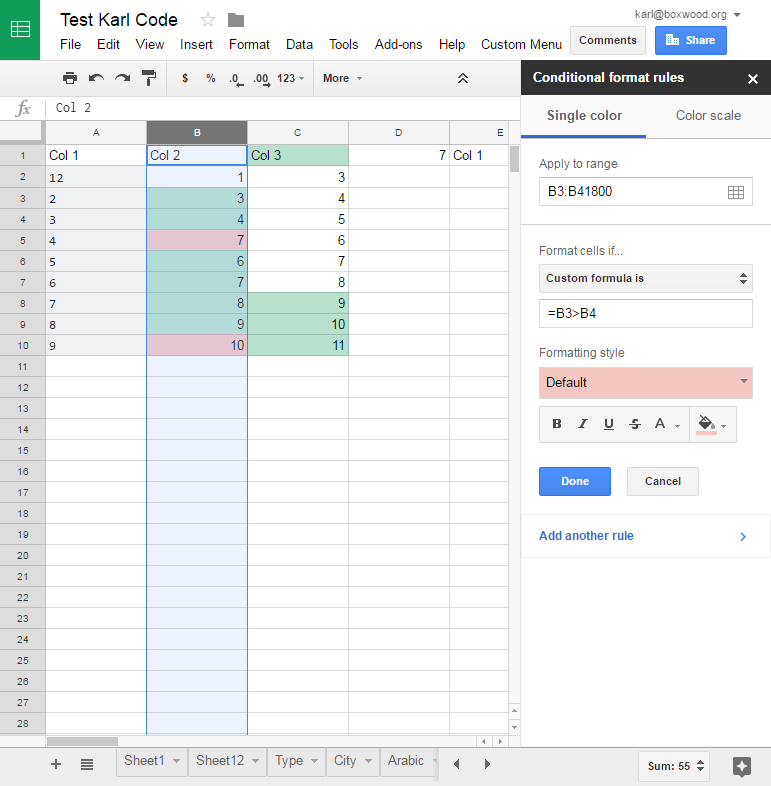 I tried the solution here (How to conditional format in Google sheets based on cell directly above it?) but that didn't work. So what I want to say is: "if the cell's value is lower than that of the cell above it, color red, if the cell value is higher than that of the cell above it, color green". and select the green color you wish.